LMO’s next live performance will be with Joji Hirota. 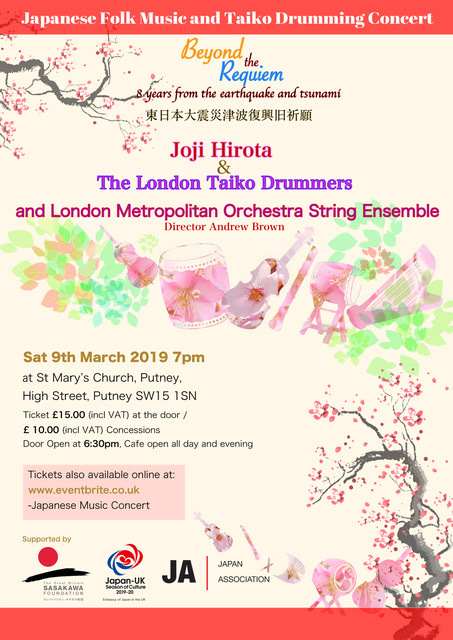 Formed in the early 80′s, Joji Hirota & London Taiko Drummers are a well established Japanese traditional and contemporary taiko drumming group, who have performed at many worldwide concerts and international festivals. 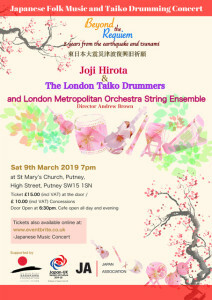 The London Metropolitan Orchestra String Ensemble have been invited to join Joji Hirota for an exciting evening of Japanese Folk music and Taiko Drumming on March 9th at St Mary’s Church. The concert will be directed by Andy Brown.